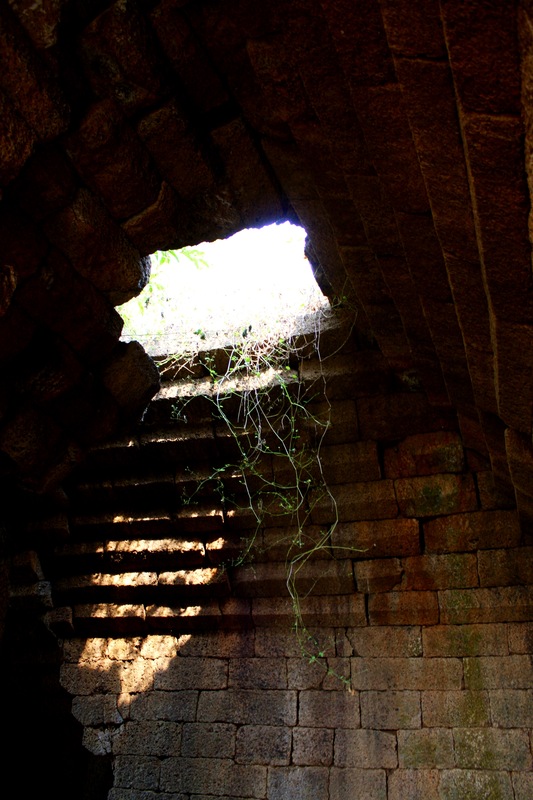 Exploring the ruins of a Jain temple in Paschim Medinipur | It's a Miracle! One morning while having tea and cream crackers, I was browsing through Chitralekha, local magazine on arts and culture, when I came across a short photo-essay by Prof. T.T. Mukherjee of Dantan Bhatter College on an abandoned centuries-old Jain temple only a few miles away from Medinipur town. I perked up. 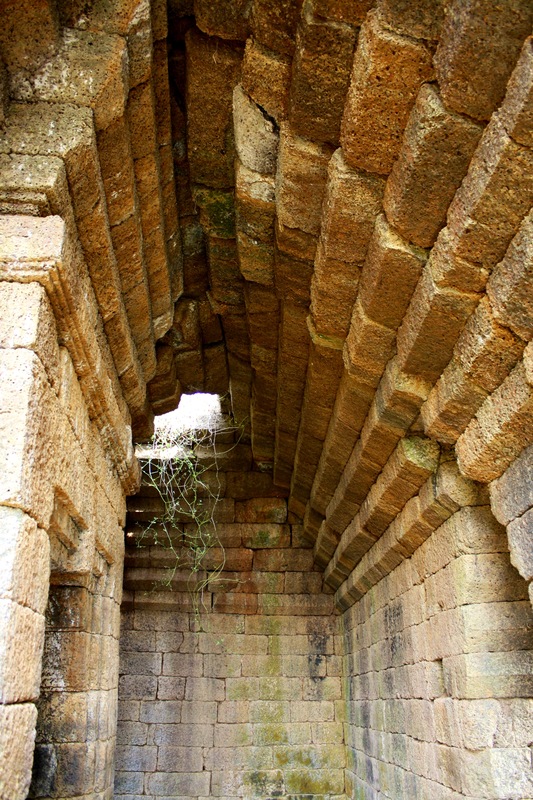 Although there are Buddhist sites scattered across Bengal, I had not heard of any ancient Jain temples in the region. I did know that the southern part of Bengal, including most of Purba and Paschim Medinipur districts had been a part of the kingdoms of rulers of Kalinga. Quickly researching the topic, I found out that the early rulers of the eastern Ganga dynasty did patronize Jainism, giving credence to the theory that any abandoned Jain temples had to be at least 600 (and more likely 900-1000) years-old. What was more amazing to me was the fact that there was such a site right across the Kangsabati river from my hometown that I had never heard of! When I spoke to family members and friends, they were clueless as well. The only person I spoke to who could provide reliable information on its existence was a poet and essayist who had visited it years earlier. I searched for the precise location on Google Maps and found that at least one person who had visited it had been kind enough to drop a label. So, armed with confirmation from an article, an eyewitness, and a map I headed out to see if I could find the ruins. On the way, we asked for directions and found that many villagers had no idea what we were talking about. We drove very close to the estimated location on the map, and knew we were on the right track when we saw fragments of architectural structures in front of farmers’ homes. There were a few that were used as milestones as well. One person enjoying tea at a roadside stall was able to point us in the right direction, but road conditions deteriorated rapidly. Finally, after slowly plodding through a dusty trail that passed farmers’ homes and brick kilns, we reached a courtyard in front of a hut. Two women were soaking in the winter sun on charpoys. Two small children were looking at us with puzzled expressions on their faces. We crossed the courtyard careful not to trample on the paddy that was drying there. Then we saw the structures. The farmers had tied their cows to the stones of the ruined temple. It was difficult to spot the structure, which must not have been more than 20-feet high, because the entire roof was covered with leafy vines. We pushed away cows grazing in the vicinity and entered the ruins. I was encouraged to go further because it was winter – not much of my skin was exposed and I didn’t have to worry about snakes. 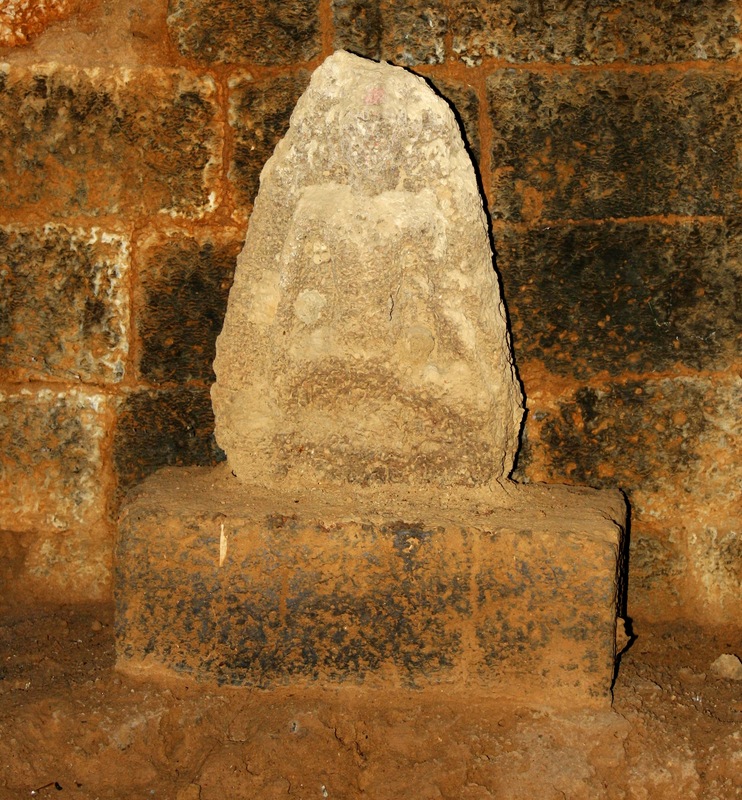 In the central sanctum was a centuries-old stone statue of Mahavira to which someone had more recently applied sindoor. In the outer part of the temple the roof had given way in many places. Without any efforts at conservation, the entire structure will collapse soon. In every village in Bengal there are temples that are centuries old that are still in use. However, none that I’ve seen are quite as old as the ruins of the Jain temple at Jinsar. It is possible this temple fell into a state of disrepair because of lack of patronage from locals, none of whom were practicing Jains. Who built this temple? How old is it? We may never know. That is the beauty of traveling. You only need the willingness to travel and to talk to strangers, plus a GPS-enabled device to have an adventure. amazing! our country is strewn with these heritage sites. would be so much fun to have a compilation of info on these….thanks for posting this.